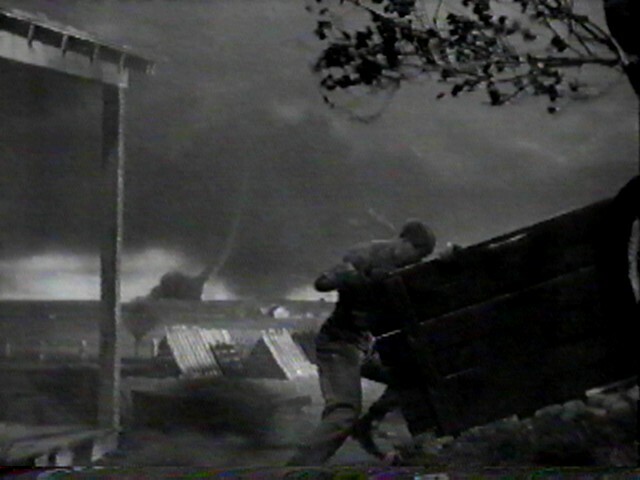 The tornado sets the whole story in motion in “The Wizard of Oz,” by picking up the farmhouse in which Dorothy hides and whisking it away to a land “somewhere over the rainbow.” The early sequences of the film in which the tornado threatens and then sweeps Dorothy away are in black and white, in contrast to the bright color of the Land of Oz and its yellow brick road. The tornado is the agent of alchemy that takes Dorothy to the exciting and beautiful place she’s been longing for — that turns out to be a land of danger as well as new friends, a place where things are not at all as they seem to be. She returns having learned that the things one wishes for most are inside a person all along. What mythic story about science does this movie tell? In 1939 America, the Depression was over and World War II had not yet begun, even though things were getting grim in Europe. Science and technology were beginning to bring monumental changes to American life, in everything from mass-produced automobiles to aviation, home appliances, and factories. “Modern Times,” the classic Charlie Chaplin film that explores the fear of technological innovation and its impact on human lives, had been made only three years earlier, in 1936. The title of this film is particularly interesting when you realize that “Wizard” was the most common mythic image of scientists at the time the film was made. Indeed, Thomas Edison (who had died in 1931), was popularly known as “The Wizard of Menlo Park.” Inventions like electric lights and phonographs seemed so magical to the public that they saw their inventor as something of a genuine magician who could simply create wonders other humans couldn’t even imagine. These wonders, in turn, changed people’s daily lives: extending hours of work and play long past dark, for example, and bringing the music of symphony orchestras to people in rural areas who had heard only parlor pianos. So the audience of the times was prepared for someone called “The Wizard of Oz” to be a genius scientist and inventor. They would have been expecting to hear that particular mythic story. Instead, The Wizard of Oz turns out to be a complete charlatan. His apparent power is all the carefully crafted product of smoke and mirrors, and he can do nothing to help Dorothy or her friends. His sole contribution to a satisfactory resolution to things is to point out the truths Dorothy and the others couldn’t see before. He simply makes things official that were there all along. He doesn’t even manage to get Dorothy home in his magnificent balloon; she is left behind by accident. The brilliance of “The Wizard of Oz” is that it tells this mythic story specifically to challenge the more common mythic Truth of the time — it pulls the rug out from under the audiences’ feet at the last moment by saying, “No Science does NOT save us from Nature.” It is in part the power of the paradigm shift caused by its unexpected ending that has made “The Wizard of Oz” a classic film for so many years.